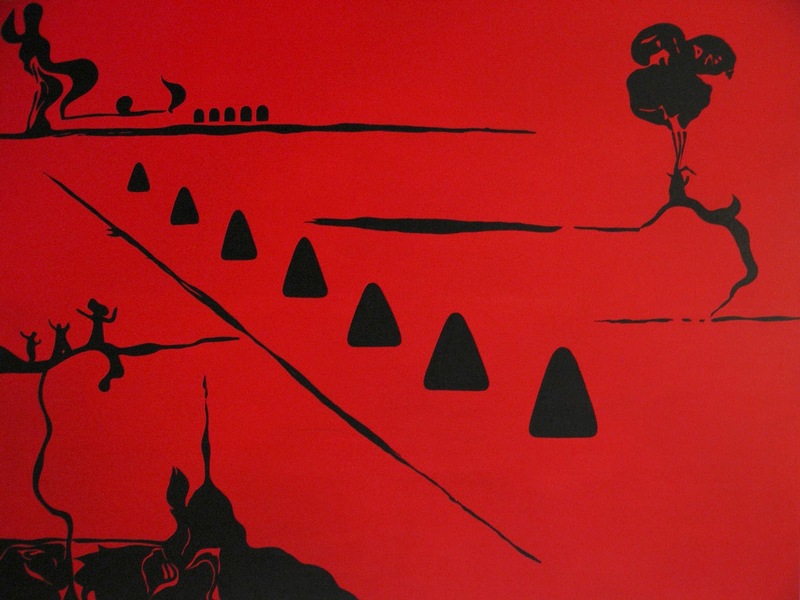 Red or black serve as a background, as a "zero," for these paintings by Carolina Quirino. From this "zero", also Malevich's one, the denier of perspective order, the young painter deposits traces of an externalized dialectic between continuity and interruptions, between presence and absence. The order itself does not appear as an a priori, but as a result of this dialectic process on each canvas points exactly in the direction of a simultaneously continuous – the o rganic forms emerge from the brush strokes – and binary – the chromatic facture based on two colors (black and/or red and/or white). IF dialectics is a process of reason, the "tri-alectics" of the chromatic set employed in these paintings leads precisely towards a hypothesis beyond that of binary reason, again touching Malevich on this point, and immersing into the surrealist psychic automatism on another. And it is precisely in the direction of a simultaneously interior – the organic forms – and exterior – the binary color – search that this work goes.